I’m all dried up…or at least that’s what it feels like. It’s not true, though the winter drags long with below normal temperatures. After three days writing, I have come up with nothing but a couple of pages about a dying tree, that’s not finished, and I think I may quit this gig and get on with my life. 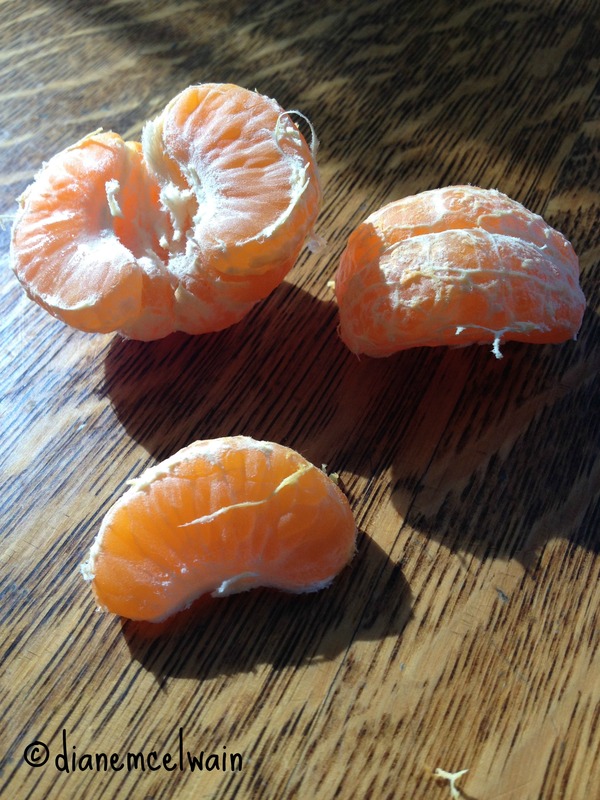 In case you don’t know, somewhere in recent decades the tangerine became a Clementine. 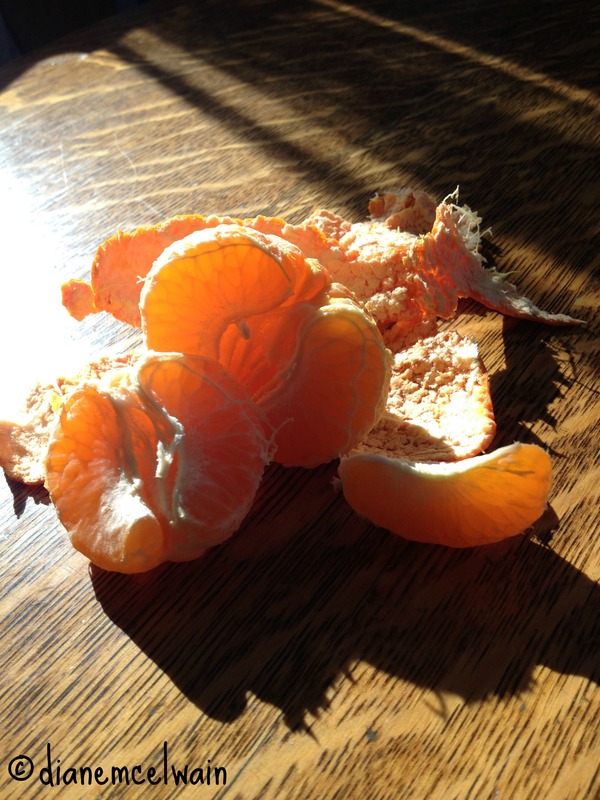 Why I don’t know, but let’s take a look at the one I just peeled…and ate… v e r y s l o w l y. When life is boring-normal most days and winter the same, I have to get out into the cold, and refresh my dulled brain. I read God’s word and pray but nothing seems to “grab” me in any special way. I need a wake up! I need a word from you Lord! 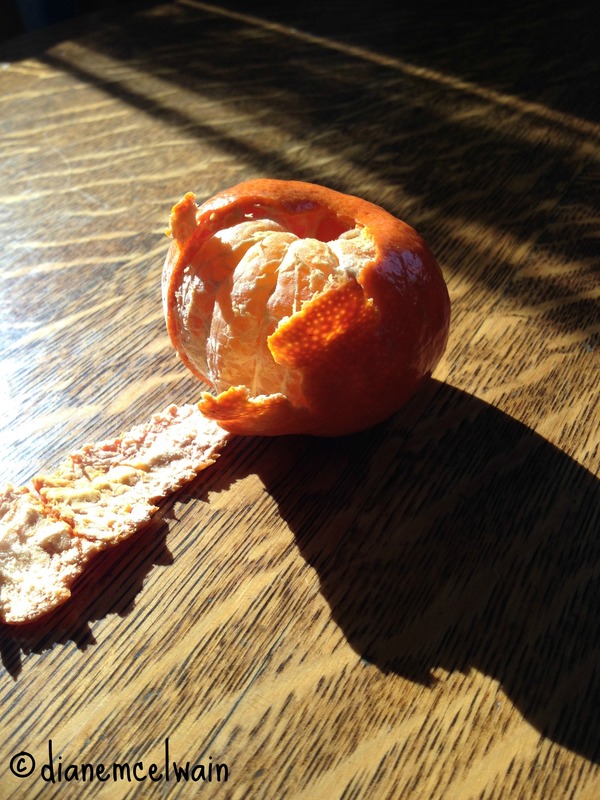 Then it comes…as I pull out a cool tangerine from the fridge and start the slow peel. My thumb bursts open the end of it, and I grab and pull back the curved skin. It comes easy and in just seconds the peel is gone. I pull at the little strings around each section and eat one small piece slowly, savoring the tangy juices on my tongue. It’s joy! And you think I’ve lost my mind. No, seriously…it was if I had never tasted a tangerine in my whole life. It was perfect sweetness. I had a word…a taste from the goodness of God. In the normal and the cold I forgot to wait for God. My eyes focused too much on the boring-normal and I saw nothing. I forgot to keep my eye out for the unusual, the awesome, or just small things. That tangerine was a gift for that day. Humanly speaking, the boring-normal feels endless, but endless is not possible except with God. He is endless, never changing, and he’s faithful when we are not. How can he still be the same before earth and the stars were created, and yet He will not end? There is no beginning or end to the I AM. Oh, and by the way…I drove to town to have coffee with a daughter yesterday. The sun was shining as I drove over the Chenango River,and a low flying bald eagle soared with all his bold beauty in front of me. Great blog! You were keeping a Sharp Eye! Oh, yes, Diane, when we pay attention there is beauty and meaning in these winter days. Sometimes we find ourselves jolted to attention by the strangest things! 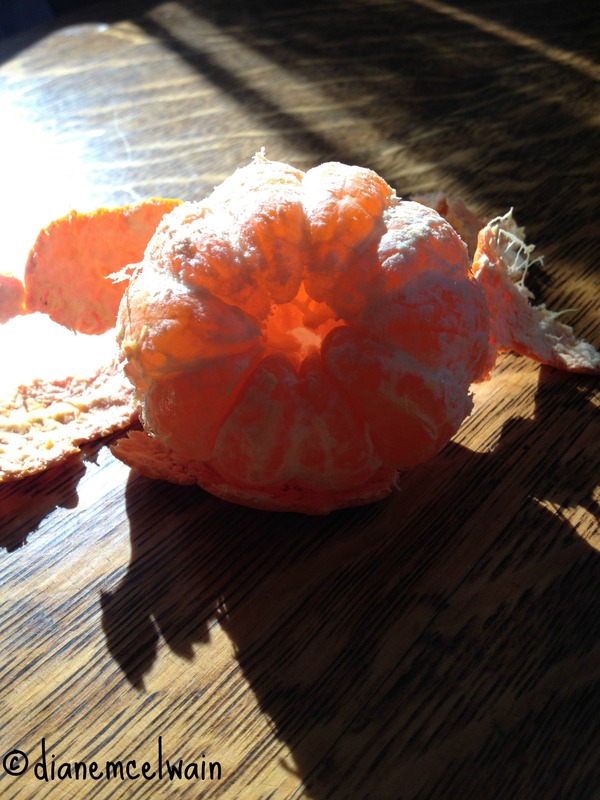 Thanks for sharing your Clementine moment. We have to find those moments, not just in winter. Thanks for reading.